The fact is, people are willing to pay more — often a lot more — for services that are pleasant to use. 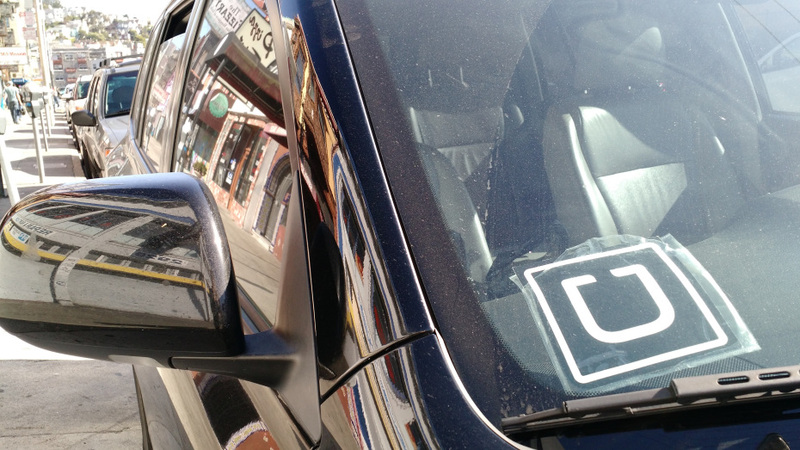 Uber, Zipcar, Munchery, and Washio all prove the point. They cost more than old-school alternatives that have been around for years, but make up for that by offering an experience that just feels nicer. What’s more, they bury their cost disadvantages by creating false comparisons. For example, Uber’s founder Travis Kalanick frequently talks about how he wants to make Uber a cheaper, more convenient alternative to owning a car. That’s a reasonable comparison to make, but only at first glance. Investor Megan Quinn, a partner at Kleiner Perkins and an investor in Uber, recently broke it down in a post titled “I don’t own, I Uber.” It’s worth a read. She estimated that the cost of owning, parking, and maintaining a car ran her $10,281 a year, while in a comparable period the following year, after she’d sold her car, she spent $4,656 on Uber, taking frequent trips with the car service in London and in San Francisco. So by Quinn’s estimate, using Uber whenever you need to get around is less than half the cost of owning a car. Sounds like a great deal, right? The issue is that many people who live in dense cities already don’t own cars, for the exact reasons Quinn points out. Parking in particular, is especially pricey, accounting for $4,200 of Quinn’s total. If you have access to free parking at your house, Uber may still be cheaper than ownership, but the difference shrinks. But the high cost of owning a car in the city has been true for years and years, long before Uber ever came on the scene. It’s just that city dwellers used to take cabs (at a comparable cost to Uber) or public transit (generally far, far cheaper). In New York, you can buy 12 monthly unlimited-use MetroCards for $1,398. Even if you have to supplement that with the occasional cab ride or car rental, you could still live in a city with decent public transportation and get around for $3,000 a year, without relying on Uber, Lyft, or any of the modern car services. In San Francisco, I occasionally use Uber, Lyft, or a taxi to get from point to point. Business Insider did a detailed analysis of Uber vs. taxi prices last year, and UberX came out on top in almost every situation. In my experience, it’s not always so clear. For instance, during a peak demand period one recent evening in August, Uber was advertising rates at 200 percent normal, while Lyft was at 150 percent to 180 percent. (I checked a couple of times, hoping the rates would go down, but instead they went up.) At that rate it would have cost me about $20 to go from downtown to the train station. I reserved a Lyft, it promised to arrive in 1 minute, but more than 5 minutes later I was still waiting. Meanwhile, empty taxis kept driving past me. Eventually I got tired of waiting, canceled the Lyft, and hailed a cab. Ten minutes later I was paying a $10 taxi fare (with tip) and getting out of the car at my destination. You could do a similar analysis for Zipcar. Sure, it’s super convenient to rent through Zipcar, and compared to traditional car rental agencies the experience is light years better. Also, you can rent a car for just a few hours. But if you’re renting a car at $7 to $10 an hour, it doesn’t take long before the daily rate is far higher than what you could get through Avis or Enterprise, where it’s common to be able to rent a car for $60 a day. If you’re not in a crowded city center, rates are even better – often $40 per day or lower. Munchery: Similar deal when it comes to food. Prices for Munchery’s delivered meals have come down a lot, but they still run $8 to $10 per person. For a four-person family, that is easily $40 a meal. You can cook your own food for half that price — but at far less convenience, of course. I recently spoke with Munchery founder Tri Tran on NBC Bay Area’s “Press:Here,” and he spoke about how much time this could save an individual or family. That’s true. But the cost is definitely higher than cooking for yourself. My point is this: Uber, Lyft, Munchery, and Zipcar are all wonderful examples of companies using mobile tech and smart back-end logistics to deliver services in a far more delightful and convenient way than before. But the same fact that makes them such good businesses means that, economically, they’re not such a good deal for consumers: There is a lot of potential profit margin baked into their fees. And when their executives start talking about what a good deal they are, watch out: They’re probably not comparing themselves to the most economical alternative. For consumers, that simply means buyer beware: You are paying for the extra convenience and for the experience of using an app that actually knows who you are. Add surge pricing, and the extra cost could be quite high. For these businesses and their competitors, there’s a deeper lesson: They may be vulnerable to future disruption by businesses that offer a similar level of convenience, but which are more competitive on price. Imagine, for instance, that a savvy municipal bus service got its act together and made it super easy to find a bus route to your destination via an app or mobile site. Or imagine a car rental agency that learned how to keep track of its customers so you didn’t have to fill out six pages of paperwork every single time you went to pick up a subcompact car. Established, low-cost companies like these might have a hard time embracing the kind of customer-first, experience-centric model that startups have built themselves around. But it’s not in principle impossible. That’s something investors need to keep in mind when evaluating these companies and others like them: There is a price for convenience. This column originally appeared on VentureBeat.